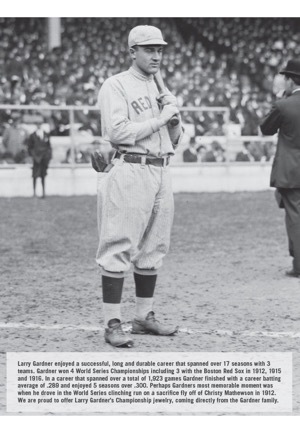 Larry Gardner was a key contributor to Enosburg High School in 1905, leading the team in both pitching and hitting. Gardner led his team to the state Championship with a .432 average and pitched nearly every game. 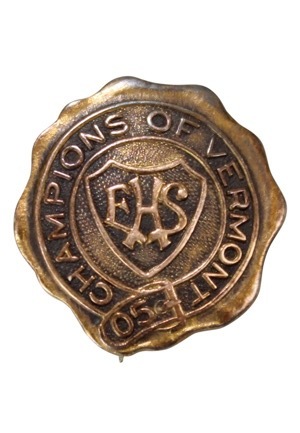 The small circular 1905 gold pendant reads “EHS CHAMPIONS OF VERMONT 05” and is properly stamped on the back “14K”. In 1926 Gardner managed the Asheville baseball club of the South Atlantic League and won a league-record 15 consecutive games en route to a second-place finish. 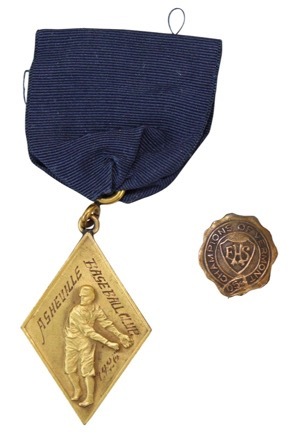 The pendant hangs from a golden link that is attached to another by means of a black ribbon and depicts a player throwing. 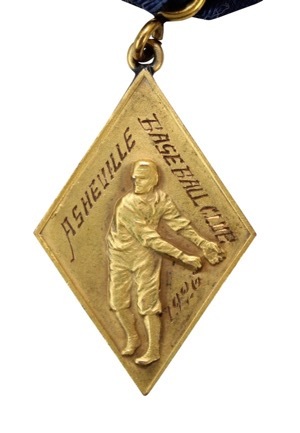 The front reads reads “ASHEVILLE BASEBALL CLUB 1926”. Carefully engraved on the back reads “S.A.L. 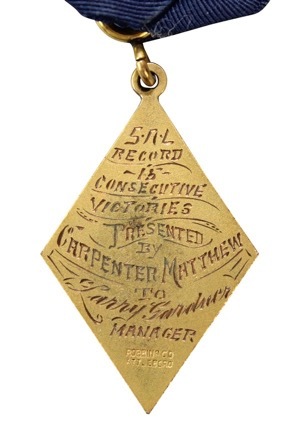 RECORD 15 CONSECUTIVE VICTORIES PRESENTED BY CARPENTER MATTHEW TO Larry Gardner MANAGER”. Directly sourced from the Gardner family. Accompanied by a Family LOA.